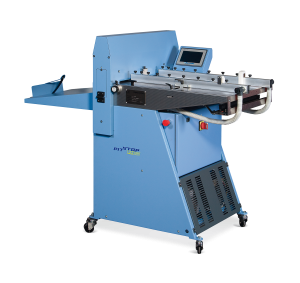 Sheet weight da 120 a 600 g.s.m. 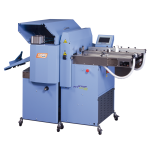 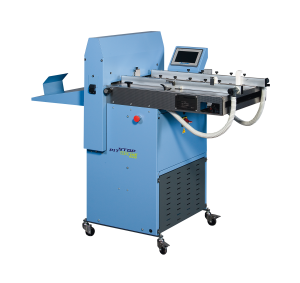 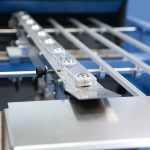 The MAGIC EASY FOLD PLUS is the patented folding system that can be positioned in line with any PIT STOP creasing machine. 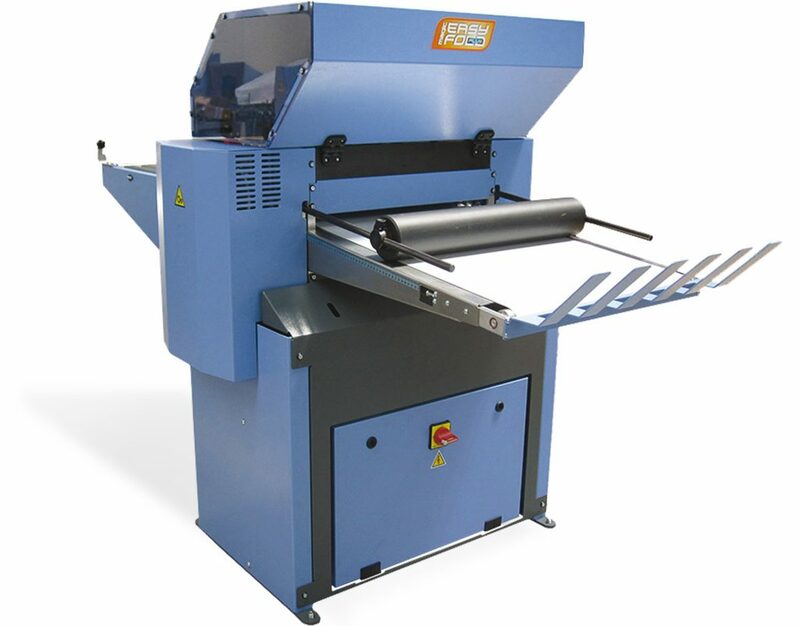 It allows the folding of paper and cardboard from 120 g.s.m. 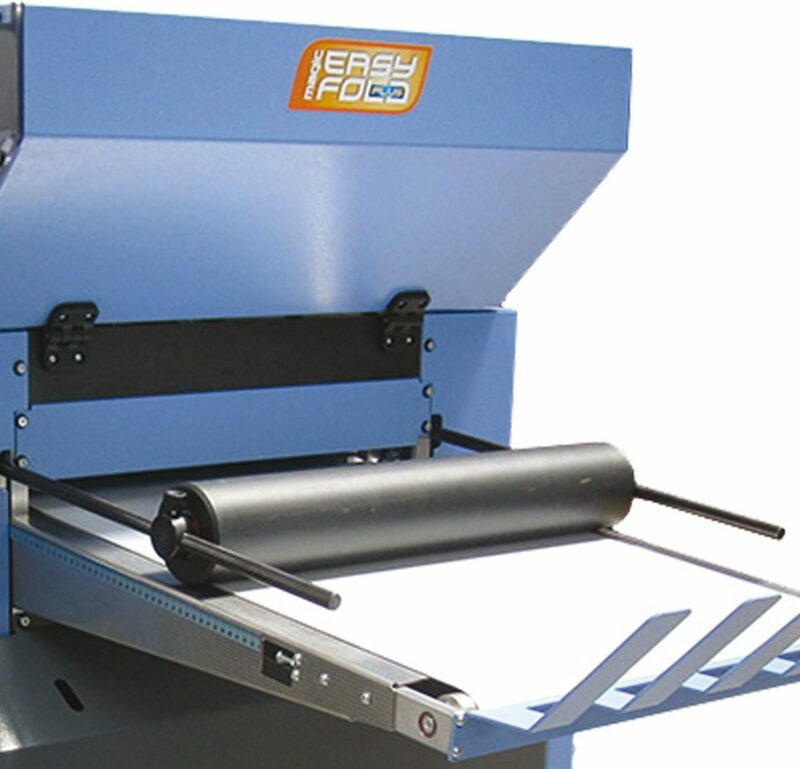 up to 600 g.s.m. 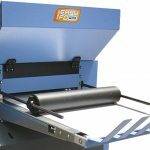 ensuring a perfect crease and fold without the cracking of spine fibres and deforming of the paper, board and cardboard. 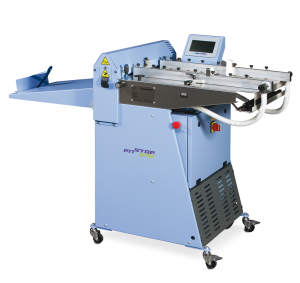 The MAGIC EASY FOLD PLUS has a side lay register table with an angled in feed belt and roller table ensuring perfect transportation and alignment of creased sheets from any PIT STOP previously purchased to the folding system. 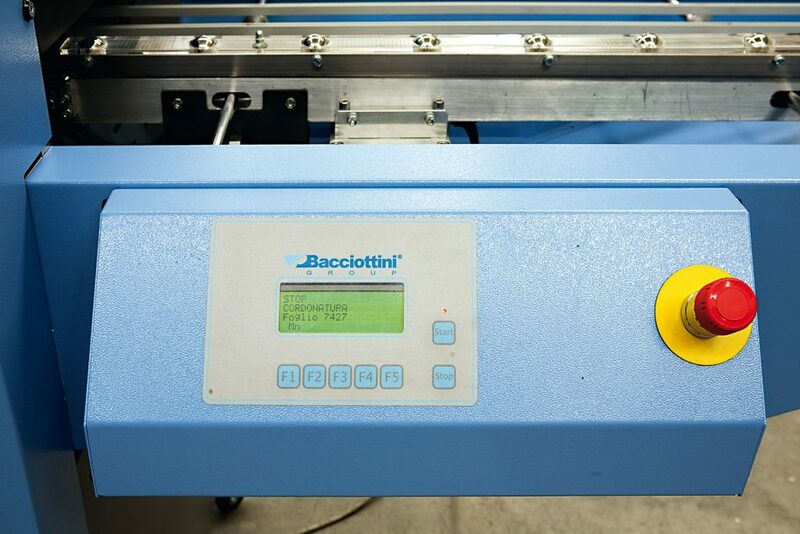 A simple operator friendly control panel is located on the machine and allows the quick setting of folding positions. 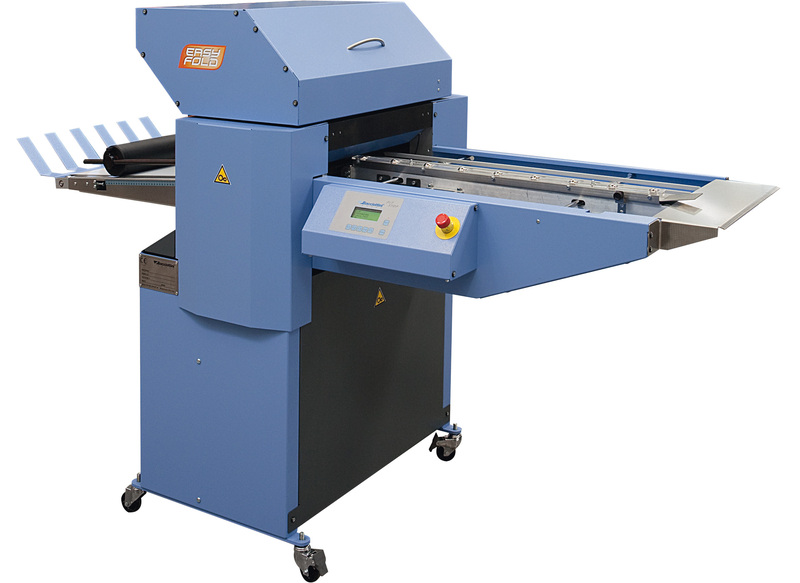 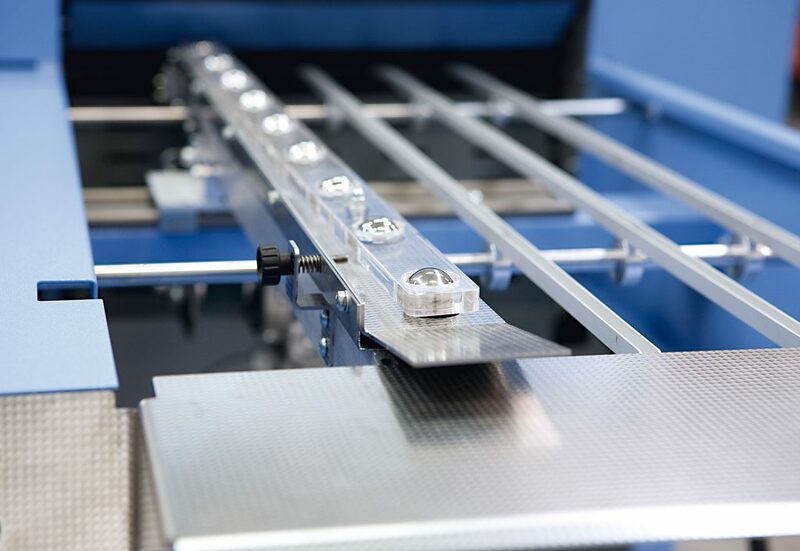 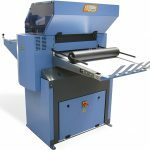 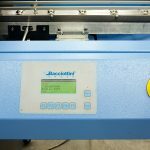 The exit conveyor belt is equipped with a calendered roller system ensuring the accurate handling and pressing of material without damaging the print.